Episode 131: In this episode we bring another gem in the lecture series on Paryushan Parva. Here we learn about the Duties of a householder during Paryushan. This is followed by the Jain Global News and then in keeping with tradition of presenting classical raga based Bhajans on the program we bring another bhajan by Dr. Monica Shah. We have news from the Jain community around the world to share with you and at the end we give you Jain thought to ponder upon. Episode 132: Cleveland Jain Center built a temple and had a Pratishtha Mahotsav. We bring to you the highlights of the celebration in 2part series. In this episode we present the first part of the celebration. Episode 133: In this episode we continue with the part 2 of the Cleveland Pratishtha Mahotsav. Episode 134: In this episode we continue with the Paryushan Parva special and learn from Swami Shrutpragyaji about what is forgiveness and how many ways are there of asking for forgiveness. Our young host Rushabh Mehta brings to you news from the Jain community at large. Then we present another melodious Stavan from Dr. Monica Shah. At the end our young Jain gives you a Jain thought. Episode 135: Jain community around the world knows Gurudev Chitrabhanuji very well. 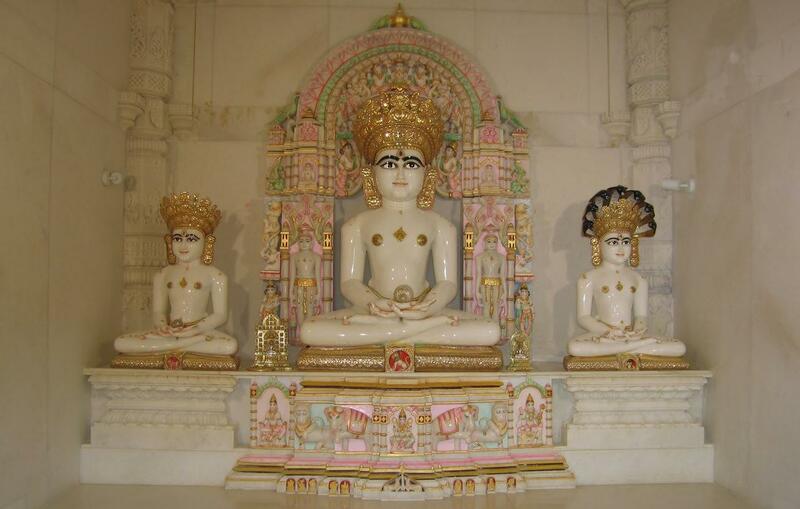 He has been the spiritual leader and one of the earlier pioneers of the Jain religion in the western world. 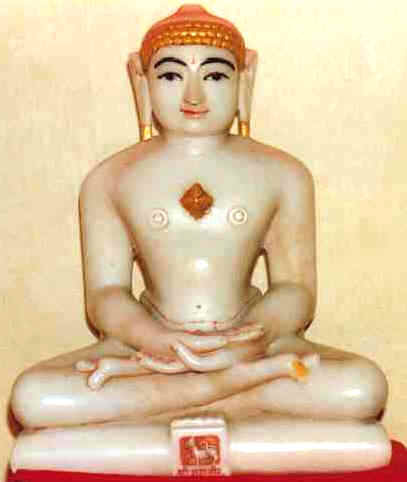 He guided and helped form the Federation of Jain Association in North America (JAINA). Jain centers around the tristate area celebrated his 90th birthday with tremendous enthusiasm. We bring you the celebration in two part series. Enjoy the first part in this episode. Episode 136: Today we bring you the second part of the Birthday celebration for Gurudev Chitrabhanuji’s 90th Birthday. He called it a day of collecting blessings. We are truly blessed to have a guru like him to guide us. Episode 137: In this episode we present the last of the Paryushan Parva lecture. In this Swamiji tells us the importance of samayik and swadhyay. This is one of the duties of a householder during Paryushan but he tells us it should be all through the year. We bring you more news from the Jain community around the world. Another classical raga based Bhajan by Dr. Monica Shah and at the end a Jain thought to ponder upon. Episode 138: We bring to you Girnar Tirth Bhav Yatra. As and when you go to India you would like to visit a Tirth, a place of pilgrimage. Previously we had brought to you Shatrunjay Bhav Yatra. Today we bring to you Girnar Tirth Bhav Yatra in two part series. Today we present the first part of the Bhav Yatra. Episode 139: Today we bring to you the second part of the Girnar Tirth Bhav Yatra. Enjoy. Episode 140: In upcoming few episodes we present a few Educational Institutions involved in preserving and promoting Jain values. In this episode we bring to you—Tapovan. Tapovan is a residential school for boys. It was established by Panyas Gurudev Shri Chandrashekharji Maharaj. He was of opinion that we are losing our national and religious values and to preserve and promote these values he established Tapovan. Today it is a thriving educational Institution worth visiting. Episode 141: In this episode we bring to you information about yet another institution “Mahaveer Aradhana Kendra”. Gurudev Kailash sagarji maharaj had this concept of preserving and promoting Jain Tirth, Jain Gyan(Knowledge) and Jain art. The concept was put was realized by efforts of Gurudev Acharya Shri padmasagarji Maharaj. In this episode you will know about the Jain Tirth, Jain Gyan and Jain art beautifully preserved under one roof. There is ongoing effort to promote and expand them. It is like a place of pilgrimage worth visiting. Along with this we do have Jain Bhajan in classical raga by Kumar Chatterji, Jain Global News and a dance performance by our young jains. Episode 142: In keeping up with the educational institutions we bring to you information about a local Pathshala in India. In USA we have many well run and thriving Pathshala. It is nice to know about Pathshala in India. We could learn some things from them. We also present some interviews of youths from Akola who have done 99 Palitana Yatra. Then you would hear a melodious Bhajan from an upcoming artiste from Akola-Mayaben Shah. Episode 143: This Saturday April 20th we are broadcasting the very first introductory documentary on life of Shri Virchand Raghavji Gandhi on “Mangalam Jain TV Show” by Jaina. Our special thanks to Mr. Pankaz Chandmal Hingrah from Mumbai for the film. It was September 11, 1893. The opening day of the first ever Parliament of World Religions Conference, the first such conference ever organized in the history of mankind. Over the 3,000 delegates of different religions and nations had congregated for this landmark event. Among them was Shri Virchand R. Gandhi. A young man of twenty-nine left a lasting impression on those present by this eloquence, brevity, and impartiality of outlook. We also present a skit on Anekantvad, beautifully performed by our young Jains from Jain Center of America.